This is a list of the best painters ever. They have created the greatest and most famous paintings ever and are known for their great technique. They made paintings that are known all over the world. This list contains an overview of the greatest artists ever and their works. Creator of the Mona Lisa and The Last Supper, Leonardo da Vinci is the number one on our list of best painters ever. Leonardo da Vinci is one of the most famous artists ever, however he was not only an artist, he was also a scientist, inventor, and a doctor. Because Leonardo tried out new techniques some of his works, like The Last Supper started to decay very early. 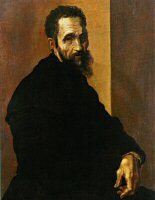 Unfortunately only seventeen of his paintings are preserved. Besides paintings Leonardo also made many drawings, the most famous being the Vetruvian Man which represents the proportions of man. 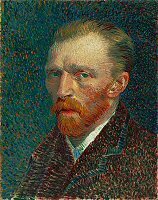 Today Vincent van Gogh is seen as one of the greatest painters ever, however he was not recognized at his time having sold only one painting during his life. He is known for cutting of his ear and drinking too much. In his last years he was suffering of painful anxiety and mental illness, and committed suicide. He made beautiful paintings like The Potato Eaters, The Starry Night and the Sunflowers and is for sure the greatest artist of the 19th century. 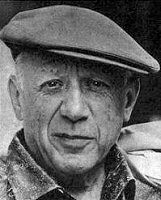 Picasso developed the cubism movement and is widely seen as the founder of modern art. Picasso started painting in a realistic style but eventually moved on to a more abstract form. His masterpiece Guernica(1937) is a painting about the bombing of a Spanish village during the Spanish Civil War. This painting has become a reminder of the tragedies of war and an anti-war symbol. Other great paintings Picasso made are: Les Demoiselles d'Avignon(1907) and The Weeping Woman (1937). 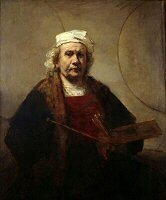 Rembrandt van Rijn is the master of light and shadow. Like no one else he could play with the effect of light and lead the eye to the most important section of the painting. His paintings are of exceptional realism always making use of his trademark of light and shadow effects. His masterpiece is The Night Watch, an enormous painting made in 1642. 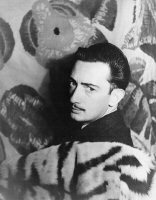 Salvador Dali was a Spanish painter who is best known for his surrealistic work. Dali's paintings are highly imaginative, always showing something unusual, like melting watches and elephants with long skinny legs. The Persistence of Memory is considered to be his greatest work, which is sometimes interpreted as representing Einstein's Special Theory of Relativity. Besides a great sculptor Michelangelo was one of the greatest painters ever. He is considered to be one of the most important artist of the Italian Renaissance. His absolute masterpiece are the frescoes in the Sistine Chapel from which The Creation of Adam is the most famous. 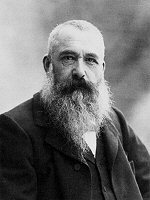 Monet founded the French impressionist art movement, which was named after his painting Impression, Sunrise. He is famous for painting the effects of natural light and experimenting new techniques. Monet painted a lot of landscapes and was also obsessed by water lilies which he made a series of paintings on. 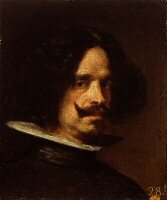 Diego Velázquez was the leading artist of the Spanish Golden Age and along with Rembrandt van Rijn the main painter of the 17th century. Velázquez painted several portraits of famous people in the 17th century, including the Spanish royal family and Pope Innocent X. His masterpiece, Las Meninas is an enormous painting made in 1656, it depicts a large room in the Madrid palace of King Philip IV of Spain. Raphael was an Italian painter who along with Michelangelo and Leonardo da Vinci was one of the great masters of the High Renaissance. One of his most famous works is the fresco The School of Athens in the Apostolic Palace in the Vatican. Although he died already at the age of 37 Raphael was very productive and made many paintings. Raphael's paintings are known for its harmony, clarity and ease of composition. For centuries Vermeer's works barely got attention until he got recognized in the late 19th century. From then on 35 works have been verified as his and Vermeer has become one of the most important painters of the 17th century. Vermeer is known for his use of bright colors and use of light in his works. He mostly made genre works and portraits, one of these portraits is the famous Girl with a Pearl Earring, one of Vermeer's masterpieces also known as "the Mona Lisa of the North".